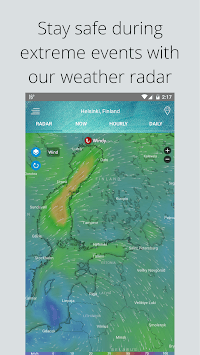 Local radar — wind, waves & hurricane tracker / NOAA satellite, Doppler radar. 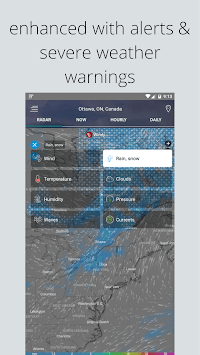 Get a powerful & easy-to-use weather radar station app right on your smartphone! • Weather forecast for global; for all countries: Australia, Canada, New Zealand, United Kingdom (UK), United States (US), etc. 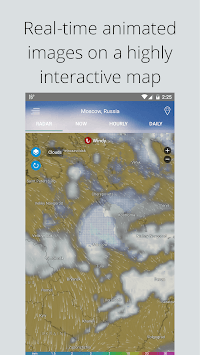 • Weather forecast for all cities: Auckland, London, New York, Sydney, Toronto, etc. We are constantly working hard on making the app better and more useful for you. Please take the time to leave us a nice review; this will really help us to give the best of what we have.